approached me as she was working on a space for her business in The Design Factory / Station Road. She offered me an office and it all came together. It's wonderfully exciting to be working on decorating my new office. I want the style to reflect my business along with a hint of my personality. Daniel has been so supportive, guiding me and of course restoring furniture pieces (with patience and love) and slowly, but surely we are getting there. Once it's all done I will be sure to share it with you, but in the meantime here is some of my inspiration. 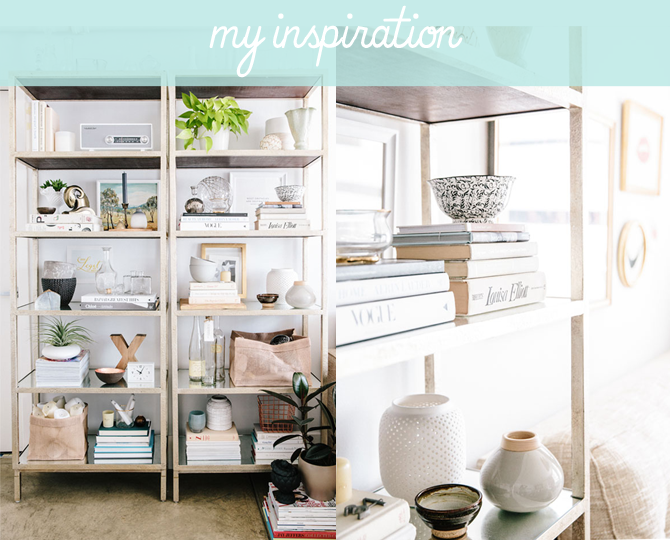 I've been debating as to whether or not to have floating shelves on one of the longer walls within the space, but after seeing this inspiration I have settled on two shelving units so that I can move them around if need be. Daniel and I plan to use traditional metal office shelves (the frame part) and then replace the shelves with wooden ones. I found these via Gumtree using their location listings and the seller is based in KZN - which is ideal. I think once I have added a few decor elements and styled it up a bit - the end result will be just perfect. I really like the idea of mixing in a few pieces with history. 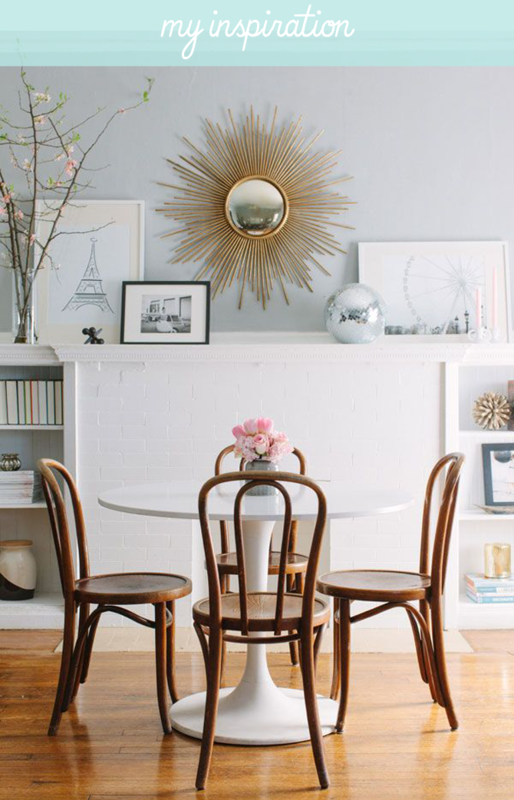 I want a stylish space, but not void of character. This inspiration captures the look and feel that I'm after. Globe chairs are quite a common second-hand find and in this case I'm thinking that they might look good in white too or with a cushioned seat area (I'm on the hunt for fabric). I discovered a straight back version on Gumtree and once again the seller is KZN based which is making all my searching a great deal less stressful. We are working on a few other elements and soon I'll be able to move in and start officially working from my new space. I'm so happy that I can share the journey with you (hooray)! I'll keep you posted (pun intended). *Posted in collaboration with Gumtree. All views are my own. It must be so exciting, I can't wait to see the results. Good luck! Congrats Nadia, know just how you feel. Am also in the process of getting an office space outside my home. Exciting times! Thanks so much. Can't wait to be working from there! You have such great taste, I know it will turn out well - can't wait to see! Congratulations!